At Osco Tank & Truck Sales we take pride in every truck that rolls out our doors. Our goal is to build the highest quality custom-built fire apparatus at the best available price. Plus, with the friendliest service. Founded in 1999, Osco Tank & Truck Sales Inc. began by refurbishing tandem trucks and mounting stainless steel tanks. Initially focusing on liquid fertilizer tanks, interest from fire departments led the company to develop a fire apparatus line. 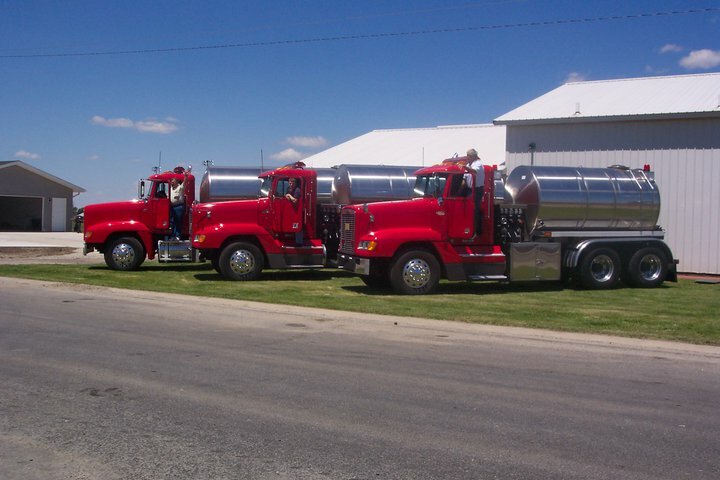 Our business has grown to offer custom-built tank trucks of all kinds for different industries and hauling needs. Osco Tank & Truck Sales now offers new and used fire tankers as well as water trucks, vacuum trucks, and other tank trucks. We work to make sure your tank truck has the right capacity and features for you. Based in Orion, Illinois, Osco Tank & Truck Sales is a family-owned and run business founded by Tom Weber. Sales manager Jed Weber is an expert in fire apparatus and industrial tank trucks and helps customers get all the options they need at the best value for their budget. The shop foreman is Chris Weber. He is dedicated to making sure that each truck also receives precise and thorough maintenance. With almost 20 years in business, Osco Tank & Truck Sales has sold over 500 trucks to more than 400 customers in the U.S. and Canada. Be sure to contact us today to find out how we can help you.